You know you’re approaching Samuel’s and Son Seafood Company, the Philadelphia area’s premier wholesale seafood distributor, when you begin to see the “Samuel’s & Son Seafood Co” logo on delivery trucks. The words are accompanied by their graphic, with a blue background and a black fish outlined in white, clearly illustrating the wares of the Philadelphia-based company. Samuel’s history begins in the streets of Sicily, where Samuel “Sammy” D’Angelo’s great-grandfather, Gaetano Darigo, worked as a commercial fisherman. D’Angelo’s grandfather, Guiseppe Ippolito, married Darigo’s daughter and partnered with his father-in-law by starting a seafood business in Philadelphia. In 1945, Ippolito opened a fresh seafood market and called it “Ippolito’s,” where ten year-old Samuel D’Angelo worked, learning from his grandfather. The rest, you could say, is history. After speaking with Joe, I was given a tour of the facilities, all 50,000 square feet. 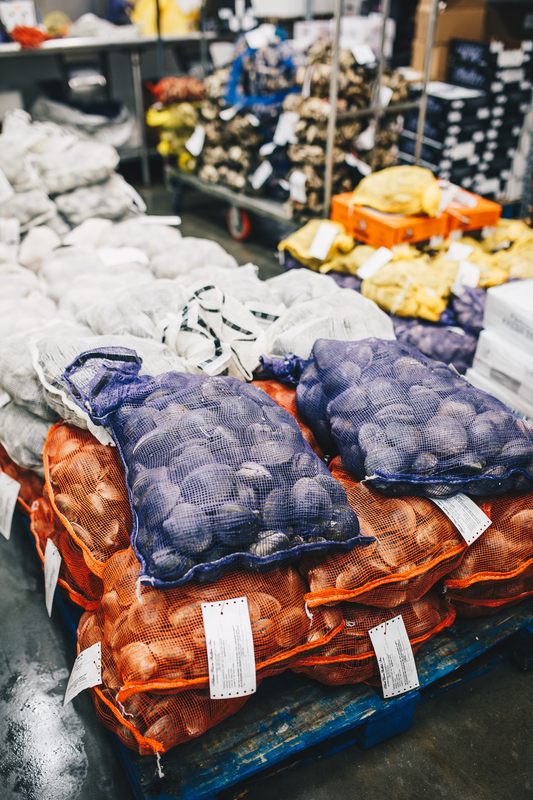 Donning a felt-lined coat, non-slip booties, and a large pale blue overcoat, we entered the temperature controlled warehouse floor, constantly maintained at 35 degrees Fahrenheit. We moved from section to section, first stepping through the retail space where in the past chefs would come and hand-pick their fish. 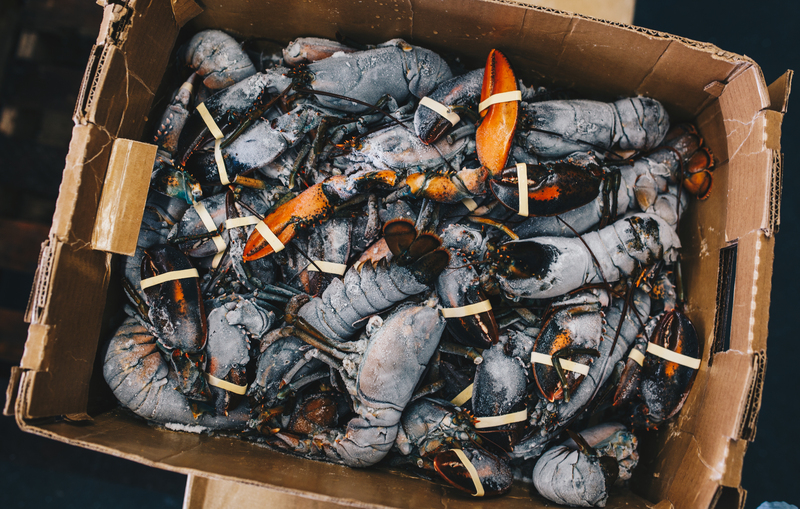 Now, Joe says “only a few of the old-school chefs do that,” the rest get the seafood delivered, precut in styrofoam plastic-wrapped containers. After the retail space, where fish are on display like you would see in a market, we move through the large double doors and are met with ceiling high shelves packed with all sorts of seafood. As we walk, Joe opens boxes, some styrofoam, some cardboard, to show us the fish, explaining the different types and where they’re from. At one point, he pulls one out and points to the green tag on a Copper Shoals Texas Redfish’s head, “you see this? This is how we track how many of these are being caught,” he explains. Before the establishment of tagging, this fish was so over-fished that it was almost extinct. 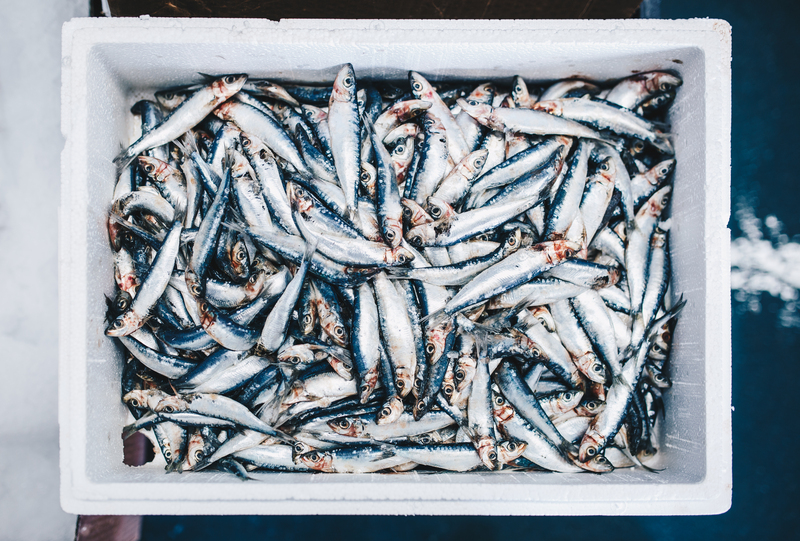 Now, the industry is able to keep track of exactly how many are being taken out of the seas and distributed, just one way that the industry has increased sustainability efforts in recent years. “Over the last 10 years [sustainability] has really come to the forefront of people’s attention,” Joe tells me. 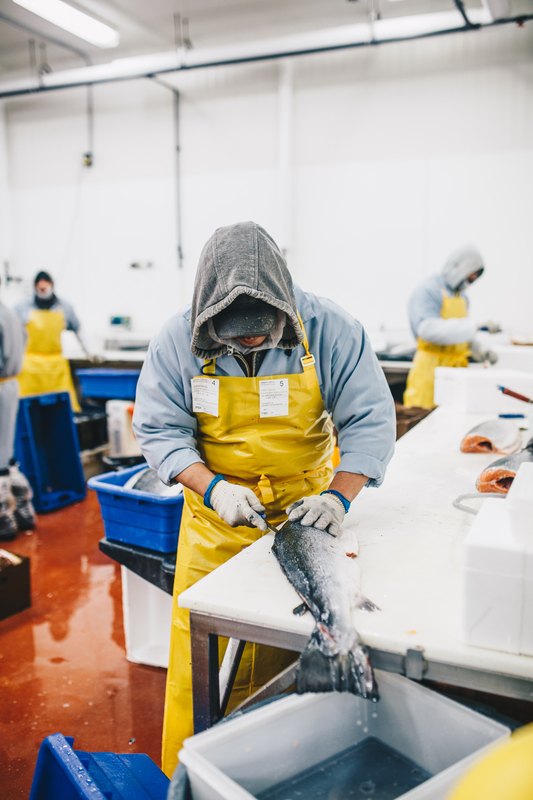 “We spend a tremendous amount of time on sustainability…we always check our vendors and producers to make sure that they are accessing the product in the right way.” Samuel’s and Son is also involved in multiple non-government organizations that help to ensure the sustainability and longevity of the seafood industry. “We work with the Marine Stewardship Council, Aquaculture Stewardship Council, Best Aquaculture Practices, and of course the big one is the Monterey Bay Aquarium, we’re a collaborator with their Seafood Watch program.” Samuel’s works with these programs and institutions to ensure that the products they sell to their clients are fresh, ethically-sourced, and sustainable. An integral part of that sustainability is outreach and seafood education. Samuel’s has a robust website that includes product lists, recipes, media and events, and even a newsletter highlighting seasonal produce and upcoming events happening in the company. Why is this important? “Unlike other protein industries, chicken, beef, pork, they’re all dealing with the same animals. Seafood you’re going to see, just in the fresh category, 250 different species, all different parts of the world, different genus, species and families. You’re going from an oyster to a fish to a sea urchin.” He highlights that because of the differences in the industry, outreach is integral to the business. After the tour, I reluctantly returned my coat and overcoat, and threw away my booties. A few days later, walking down Walnut Street, I look up and see the familiar “Samuel’s and Son Seafood Co” logo and smile, feeling the distinct urge to cook some mussels when I get home.